Sue Petty, Barbara Warner, John Hills, Shan Tate. Jan Parker has also remained an active member too. All members of the Focus Group are AFT Board Members, implying rotation as they join and leave the Board. Nick Child is an honorary officer of AFT as AFT Lists General Manager. He is also Group Lead/Manager of the main AFT List and the Voluntary & Independent Sector Network List. Otherwise his role is more of a technical and overall development and guideline responsibility to the other AFT Lists. Each of the other AFT Lists is more or less managed in terms of content and process by ANOther. The Lists General Manager is a member of the Focus Group as the recipient and "executive" of their guidance. All the other Assistant or Group Lead / Managers of each specific AFT List are effectively in the same continuing honorary position as the AFT Lists General Manager. This group or network of Group Lead / Managers needs to be "copied" and linked into appropriate email discussions with the Focus Group. Hence this GGroup too. 1. Owner (representing AFT as the organisational owner); Sue Kennedy has a special email just for this purpose. 3. General Manager (more technical and overall guidelines for group management, development of new groups, and support for the Group Lead / Managers; presently Nick Child is General Manager except in HoFT. The General Manager will be responsible for maintaining and updating the AFT Lists Guidelines. The AFT List Guidelines will be assumed to generally apply to all AFT Lists - with relevant details changed for each particular list. On an open access website (AFT's main website maybe best, but NC's own one will allow easy updating for now), a master copy of the updated AFT List Guidelines will be mounted. List Management and Focus Group information will be mounted here on this GG . The remit of the AFT Lists Focus Group is: To feed-forward or -back, assist and guide the List Lead or General Manager/s in making all the AFT Lists work well. 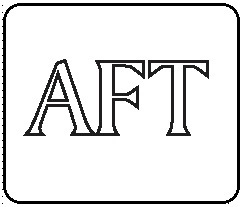 The membership of the Focus Group should cover and include members of all the AFT Lists. The responsibilities of being a Focus Group member include: Sustaining a reasonably steady attention to the content of emails sent through the AFT Lists, an awareness of the overall culture and dynamics going on, consulting to a List Manager or Administrator when s/he needs guidance, a responsibility for alerting the List Manager/Administrator if s/he has not realised that something needs attention, suggesting new ideas for improving the Lists, and help in improving the Guidelines when necessary. Sounds a lot written down, but it amounts to carrying on as one would normally do in the email lists, but do that with an eye on the broader picture, as if from a wider AFT organisational viewpoint or from a List Manager's position. Plus being authorised to let the List Manager and the rest of the Focus Group know what you think as appropriate. Of course, any member of any list may feedback about any aspect of the running of the lists. In addition to the Focus Group members, any member of the AFT Board is also asked to let the List Manager and/or the Focus Group know if and when they pick up any concern or suggestion about how the Lists are going. All discussions on the AFT Lists Team Google Group are strictly confidential. Any sharing or quoting or naming or publishing outside of this email group will be carefully prepared, shared and approved first.